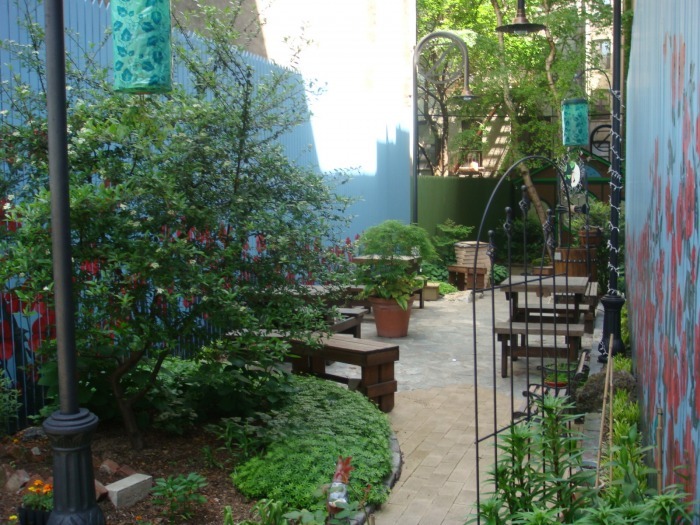 In a city as thriving as New York it is not hard to understand the reasons for the lack of small spaces dedicated to the growth of our young children. Big business and high real-estate prices in Manhattan, this global financial center, are the leading causes of the problem. However, we do find areas of play near or within public schools and in residential communities. These intimate spaces provide children with relaxed settings for creative growth and learning away from large office plazas, bustling cafes and large parks catering to the working professionals and teenagers. In Hamilton Heights, two small parks have been created from “in-between spaces” of residential buildings that were once eyesores are now thriving centers of this community. 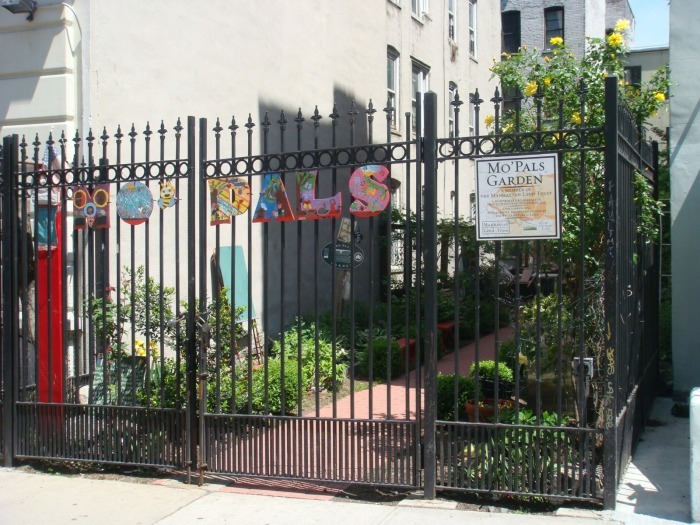 The first is Mo’ Pals Garden created by Mary Foster and four Harlem Heights residents who transformed a place previously referred to by locals as "The Lot". 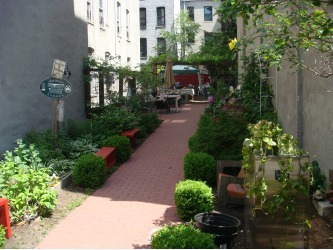 Foster and the residents transformed the park into a beautiful green space which opened in 1992. The name Mo' Pals is a slang term meaning more meaning, more pals. In 1999 the garden was saved by the Trust for Public Land who bought the lot. In 2006 Mo’ Pals became incorporated into the Manhattan Land Trust. It is currently used as a vegetable and flower garden maintained by twenty senior citizens and students from P.S. 153.
collaboration between the New York Restoration Project and the Broadway production Wicked, the Broadway musical. Wicked pledged $300,000 dollars and a special benefit performance was added to the plays schedule. All proceeds were donated to the restoration of the garden. Wicked’s associate scenic designer Edward Pierce designed the garden; he incorporated physical elements from the play giving the garden its very on yellow brick road.The space is also used by the New Heights Academy, a local charter school located next to the garden. These gardens are extraordinary examples of how collaborations between dedicated local residents and larger organizations can produce magnificent spaces for children and communities. In a city with so much money and so many in need it is a wonder why there aren't more examples as successful, and touching as these two places.